DETROIT - July 2, 2007: Some convertibles are safer than regular vehicles, according to a crash test conducted by the Insurance Institute for Highway Safety. 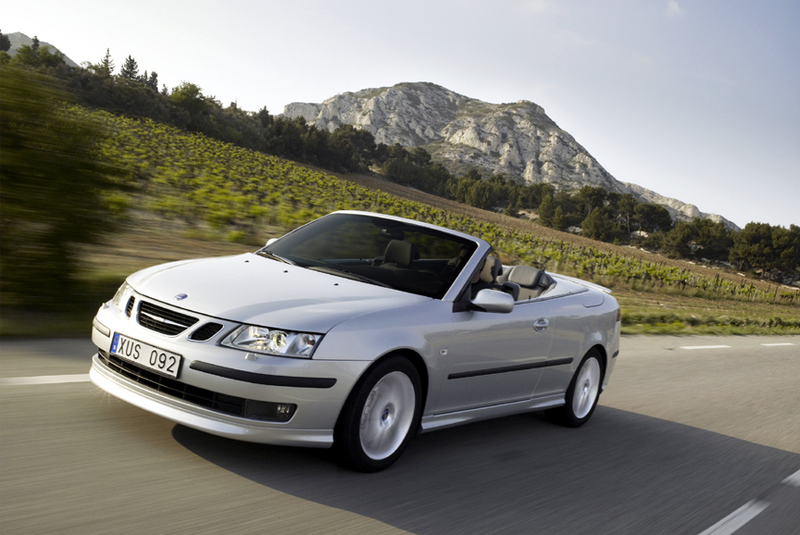 Among the ten mid-sized convertible models tested, the agency ranked the Saab 9-3 and Volvo C70 as the safest. Automakers from Saab say they created a safer vehicle by reinforcing the windshield header rail, A-pillars and making the door sills wider and larger than in a regular sedan. 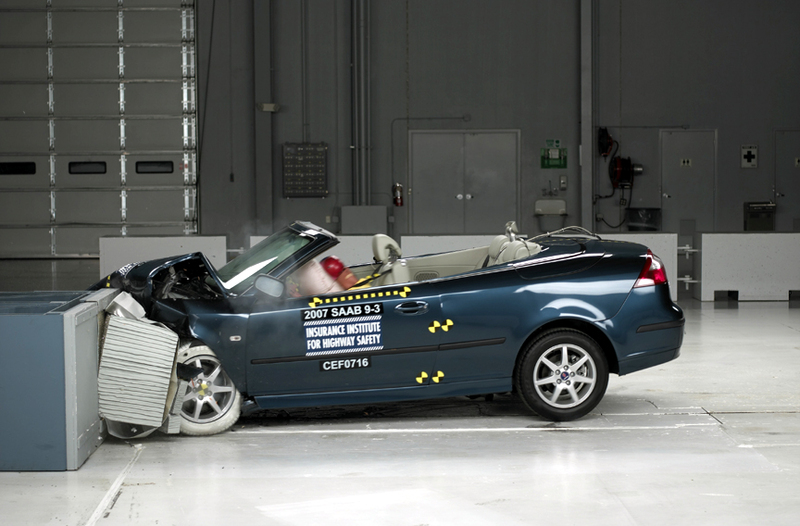 This is the first convertible safety test of its kind. To qualify for ‘Top Safety Pick’ award, a maximum ‘good’ rating must be recorded in each of three demanding tests involving frontal and side impacts and an evaluation of seat/head restraint protection in a simulated rear-end impact. The vehicle must also offer electronic stability control and convertibles must be equipped with roll bars. As part of its on-going work with crash safety, Saab has led the automotive industry in pioneering the development of active head restraints to help prevent neck injury in rear-end impacts. Saab Active Head Restraints (SAHR) are standard equipment to the front seats of all its current car models. 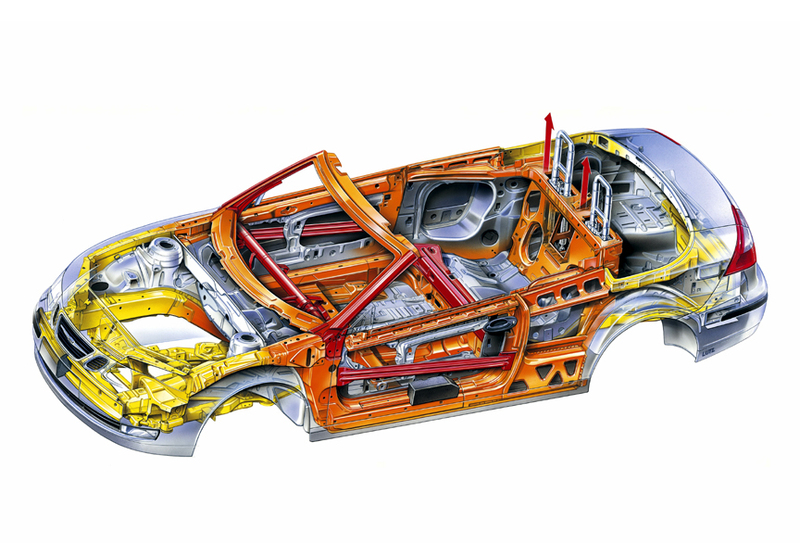 The 9-3 Convertible is also equipped with Saab Dynacage, which includes pop-up roll bars to help provide protection in the event of a roll-over crash or an impact that could lead to a roll-over. The IIHS frontal crash test assesses structural performance and potential injury to the driver dummy in a 40 mph (64 kph) impact against a fixed deformable barrier with a 40 percent overlap on the driver’s side. For the side impact test, a deformable barrier simulating an SUV or light truck is propelled against a stationary vehicle at 31 mph (50 kph) on the driver’s side. Structural performance and potential injuries to a dummy at the wheel and another seated immediately behind are assessed. In the dynamic seat and head restraint test, a seated dummy is mounted on a sled which is accelerated to 10 mph (16 kph) and stopped within 0.1 seconds, simulating the effect of a 20 mph (32 kph) rear-end impact. The test is designed to assess protection against neck injury.